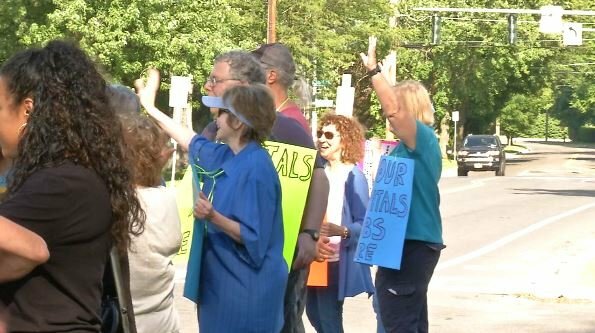 Community members joined Citizen Action of New York to create a human chain of linked hands in front of Lourdes Hospital in Binghamton for National Day of Action. "We've had people honking, giving us cheers, and saying 'fight on' and that's what we need to do," said Mary Clark, Citizen Action of NY Member. "Come back to the drawing board, do not pass this next week and we're calling on Claudia Tenney to say 'no'." 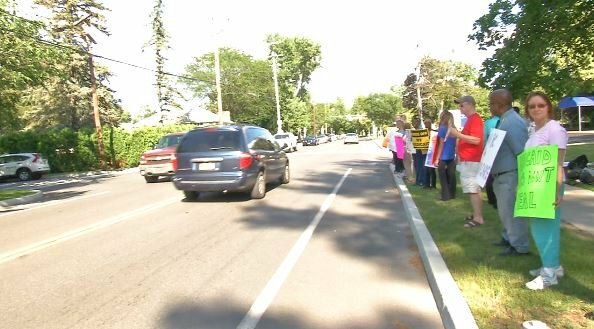 The event was part of a national "Don't Take Health Care from Families to Give Tax Breaks to the Rich and Corporations," Day of Action led by Health Care for America Now. The Organization said participants joined hands to symbolically protect Hospitals, like Lourdes, from the "drastic cuts proposed in both the Senate and the House Bills." "We are trying to draw attention to the fact that this health care repeal bill affects us all," said Clark. They are urging the Senate and Congresswoman Claudia Tenney to reject proposals that would take away health care. Citizen Action believes the potential bill would cut $28.1 million of the budget from 10 hospitals in the 22nd District,. Citizen Action Board-member, Jeff Garrison, says he only pays a small amount for health care each month because of the Affordable Care Act and fears he would become one of the people who would lose their health coverage if the bill passes. "There's a lot of people with very touching stories who lives we are deciding at the stroke of a pen - yes or no. And for her to consider that greatly before she goes and makes another vote on what might become the Senate's bill," said Garrison. "We really need to say no to any of these proposals that would lose 23 million plus Americans' heath care." The bill is expected to be presented before the July 4, Congressional Recess in two weeks.